Don’t be afraid to be emotional – It’s good for you! Don’t be afraid to be emotional and to let your emotions out. There is nothing to be ashamed of. In fact, being emotional, can be good for you. When you feel an emotion, but keep it locked inside you, that is in effect, exactly what you are doing. You are embedding it deep within your soul, and that is no good for anyone. If you talk whilst angry, it’s not good, but sometimes being angry, in the moment, gets the feeling of anger out and you can calm down quickly. Notice, I said talk. If you need to scream, scream, just try not to scream at someone. At worse, they will never speak to you again, at best, you will need to apologise. Try saying – I feel angry right now. If you love someone and wished you didn’t anymore, by fighting it and giving yourself a hard time about it, the feelings of love and longing for that person, can intensify and linger. In order to free yourself from the feeling of love, you must first accept that you do love, by allowing yourself to feel it, however difficult and horrid that may be. If life is getting you down and you feel like crying, just do it. By holding your tears in, you can’t get them out and no good feelings can get in. Allowing yourself to feel negative emotions, in the moment, such as pain, anger, hurt or grief, enables you to get over them faster and feel better quicker. Of course, being emotional can be a positive experience. 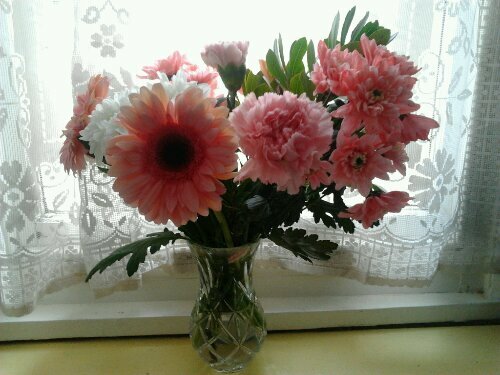 It can help you to feel other’s pain; to empathise and sympathise. It can facilitate a deep and meaningful existence and relationship with others. Being emotional can be fantastic for a career in writing, because it lets you to get into the mind, soul and spirit, of your characters, so they can lead you to tell their story. Being emotional, makes us human and that’s a fantastic thing. So next time someone says to you – you are so emotional. Take it as a compliment. Say, I know it’s great. It’s wonderful to feel alive and be able to connect with others in a profound way. Don’t run from your emotions, but embrace them. Embrace every quirky thing about you and remember how being emotional, can be good for you. Whilst being redundant, depression can rear it’s ugly head. All of these should distract your mind and take your focus off your unwanted thoughts. Depression is a state of mind that manifests itself into your state of being. Your being responds by harvesting unhappy emotions, feelings and thoughts. You need to pinpoint the cause of your depression and literally cut back on it or cut it out completely from your life. Metaphorically speaking – It is like mould that attacks fruit, once it gets hold, it will continue to spread. You can either cut it out and eat the rest, which may still be infected, or you can throw it away for good and never go near it again. Obviously you would never physically cut yourself, as that is wrong and not what I am saying. Along with changing your state of being, you need to increase your self-confidence and self-esteem. You need to counteract all of the negative comments from others and from yourself, by speaking only positive words to yourself, over and over again. You must ban yourself from using any negative words. You need to view obstacles as challenges and be blessed for what you have. Always tell yourself – You are the world’s greatest. As you probably know http://www.beatredundancyblues.com is your one stop resource for redundancy. 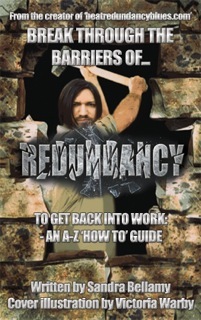 As well as the practical aspects of redundancy it also covers health and wellbeing including stress, anxiety and depression. 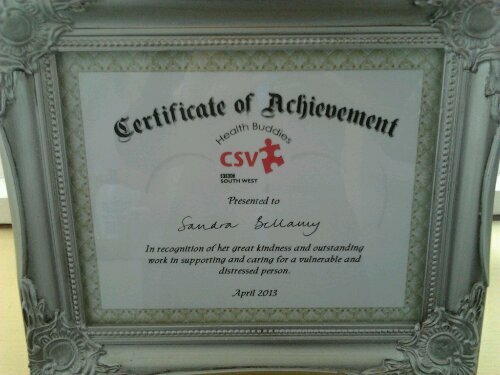 On Wednesday 10th of March, I went to a CSV Health Buddy celebration of music and activities from local refugees who are being looked after by Devon and Cornwall Refugee Support. I could not help but take notice of the variety of talent amongst the refugees. There were lots of activities including singing, sports, character making out of carrots and foods from their country. I learnt more about them and the foods they eat. People from different backgrounds connected and it was lovely of them to give up their afternoon to entertain and teach us. 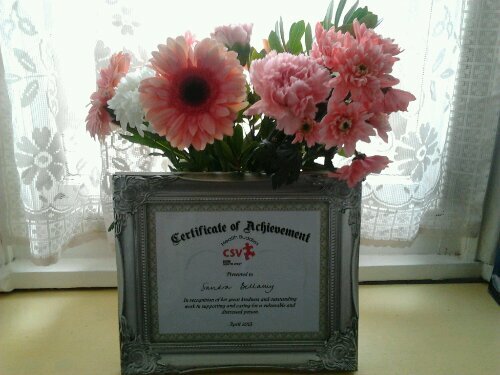 At this event I was pleasantly surprised to be presented with a bouquet of flowers and a Certificate of Achievement for helping a distressed and vulnerable person as part of my role as a CSV (Community Service Volunteer) Health Buddy. 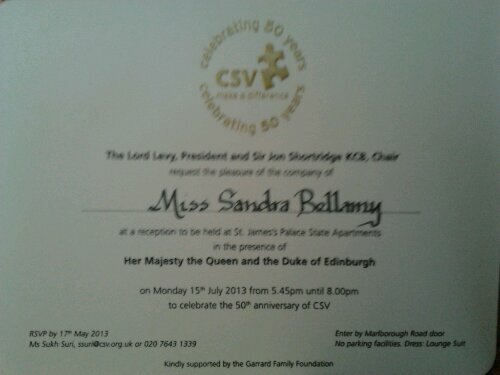 I was even more thrilled to be told that I had been chosen to represent the CSV organisation at their 50th anniversary celebration, to be held at St James’s Palace in London on Monday 15th of July 2013. In the presence of Her Majesty the Queen and the Duke of Edinburgh. This is a once in a lifetime opportunity that I feel incredibly honoured to be chosen for. Redundancy can make you feel deflated and powerless. Take back the control in your life by discovering what you were born to do and make it happen for yourself. I am living my dreams and I want you to be too. Whilst redundant or out of work for whatever reason, Christmas can be a struggle financially, mentally and emotionally. As the big day approaches not only are you worried about how much longer you are going to be out of work and about what the new year holds in store for you, you may feel you haven’t got a lot to celebrate. Alternatively, you could be thinking positive about your dreams, your hopes and your aspirations for the new year, about what free courses you could attend, what new things you could learn, enjoying the company of family, friends and loved ones that you wouldn’t normally be able to do because you had to work. You can get more into the Christmas spirit because you can spend more time decorating the tree and putting decorations up. You can listen to more Christmas music and watch more Christmas films than ever before because you have the time. 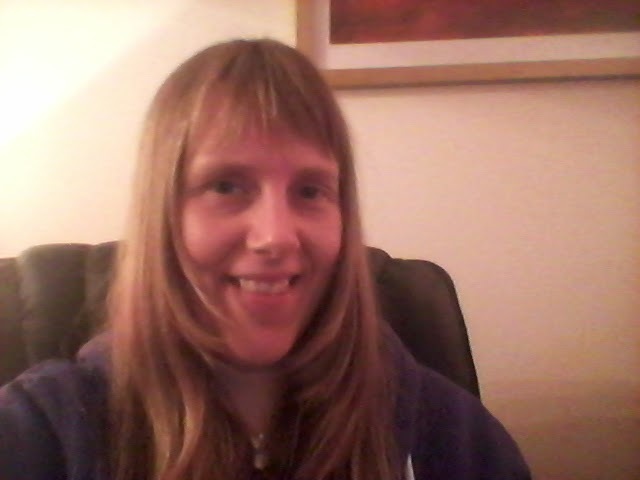 You can catch up with people you haven’t seen in ages, you can bake that Christmas cake that seems at times to take a lifetime to cook, you can attend Christmas Fayres and carol services, you can sit in a mound of tinsel and just enjoy the fact that you are alive and can bask in the magic of Christmas. Whatever makes you happy, just do it whilst you have the opportunity because when you do get back into work you will be thinking to yourself, why didn’t I just enjoy those moments in my life that I may never get the time to have again. Remember, stay positive and Happy Christmas.